Special thanks to Vagabond Films for producing this video! Earlier this year, Peru received international praise for creating the Yaguas National Park, which covers over two million acres of rainforest in the country's northeastern Amazon. To the West and close to the Ecuadorian border, a federation of 45 Achuar communities in the Pastaza River basin are actively working to protect a similar-sized area that comprises their ancestral territory. The Peruvian government is much less enthusiastic about the Achuar effort, however, and has actively opposed it at moments. Why? 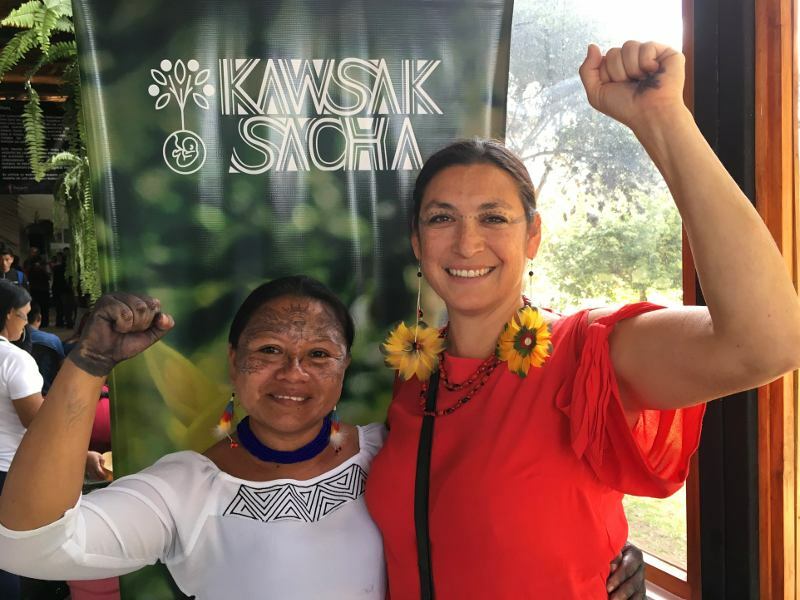 Around the world, indigenous peoples are finally being recognized as the best protectors of their territories, after decades of their own international advocacy. 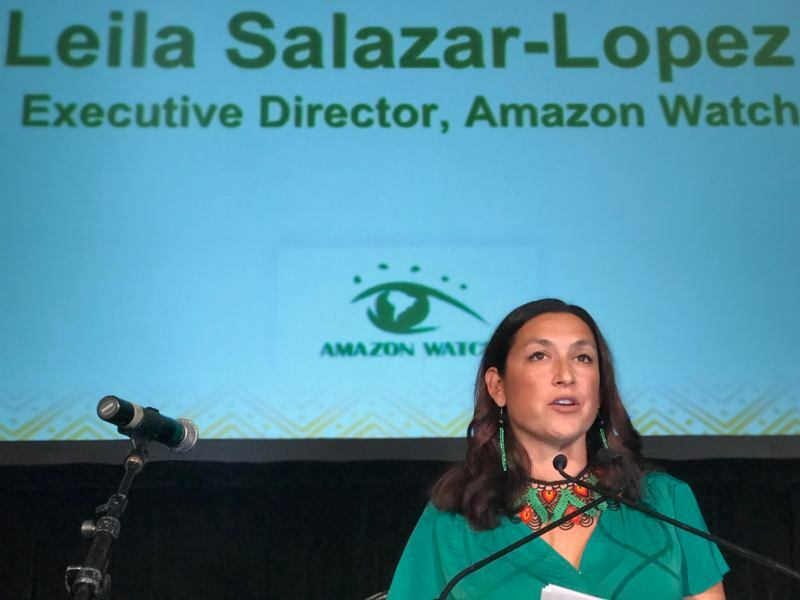 As UN Special Rapporteur on the Rights of Indigenous Peoples Vicky Tauli-Corpuz recently said, "There is a realization that many of the initial efforts to protect forests and the climate but exclude communities have failed. 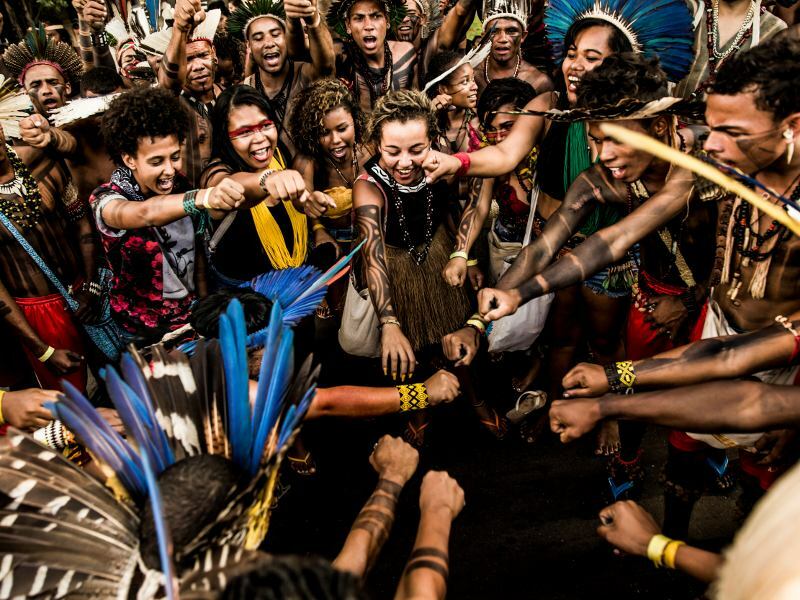 In parallel, indigenous peoples have better organized themselves to assert their rights, and there is growing evidence that forests are better taken care of when communities' rights are respected." Despite this, asserting their rights has positioned the Achuar in opposition to powerful economic and political interests. First, the Achuar are fighting a legal battle to demand a title for their full ancestral territory, not just the current parcels surrounding each community. This would expand the area under their control and strengthen their position against oil, mining, or logging interests. Success for the Achuar territorial claim would reshape the landscape in Peru, opening the way for other Amazonian indigenous peoples to secure titles for tens of millions of acres. Understanding the precedent-setting potential of the case, the Peruvian national government has deployed a team of the country's top lawyers in an attempt to shut it down. As their long-term legal process is moving forward, the Achuar are fighting off individual oil companies looking to enter an oil drilling concession the government has denominated "Block 64," which overlaps much of the Achuar's ancestral territory. Encouraged by the Peruvian government, internationally-known companies like ARCO, Occidental, and Talisman made efforts to explore for oil over the last two decades. But all ultimately withdrew due to Achuar resistance. The role of grassroots opposition has even been recognized by conservative Peruvian media outlets. "One of the reasons for Talisman Energy's withdrawal was due to the conflicts the company had with Achuar indigenous communities in the area of influence, who, along with non-governmental organizations, demanded the departure of the company," Peruvian financial magazine Gestión wrote in September of 2012. The article references an emblematic incident in early May of 2009, in which dozens of Achuar representing the 45 communities staunchly opposed to oil marched through the jungle to the Situche Central oil platform within Block 64 to demand Talisman's departure. In response, and mirroring jungle warfare tactics, the company helicoptered in hundreds of armed men from the pro-oil communities, causing a tense situation almost resulting in bloodshed and was later denounced by the Peruvian prosecutor's office as attempted genocide. Extraordinarily, even given this conflictive history readily found through a simple internet search, another multinational company called GeoPark has stepped forward with dreams of success in Block 64 where others have failed. This has meant a renewal of tensions between communities living in the area. Most oppose drilling, but a small handful support it, operating under the banner of federations that were created by prior oil companies. Divide-and-conquer strategies die hard. Having expelled multiple companies over the last twenty years, the majority of Achuar opposed to drilling are not sitting idly by as GeoPark attempts to pick up where Talisman left off. The FENAP federation – representing 45 communities in the Pastaza and Morona River basins – has sent multiple official communiques to GeoPark, though with no response to date. They have protested during various assemblies of Achuar communities, providing visual expressions of their commitment to defend their territory. Recently, the Achuar established a powerful strategic alliance with neighboring Wampis Nation, which has a history of kicking out oil companies. And the Achuar continue to push for Block 64 to be annulled through the Peruvian court system, with the support of the Peruvian human rights organization International Institute for Law and Society. 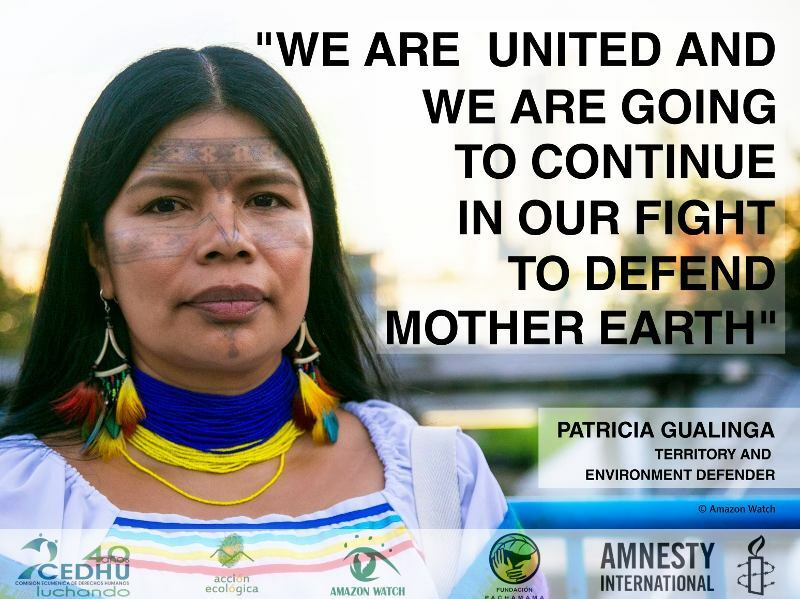 Internationally, the Achuar are taking the fight to GeoPark and their financiers, accompanied by Amazon Watch. Prior to the company's July shareholder meeting in Santiago, Chile, we published a short video featuring the Achuar that was circulated through social media and seen thousands of times. 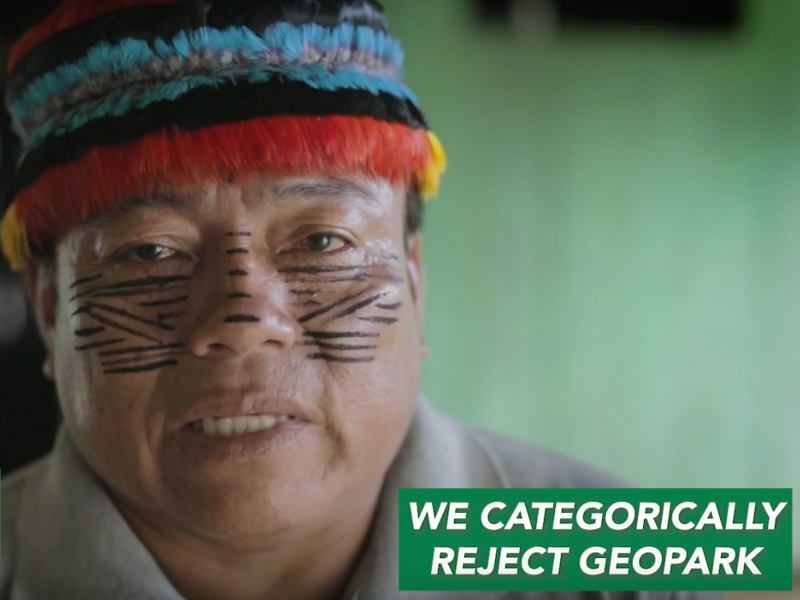 An online action alert has been signed by over 7,000 people, sending a message to GeoPark senior management that people around the world stand with the Achuar. 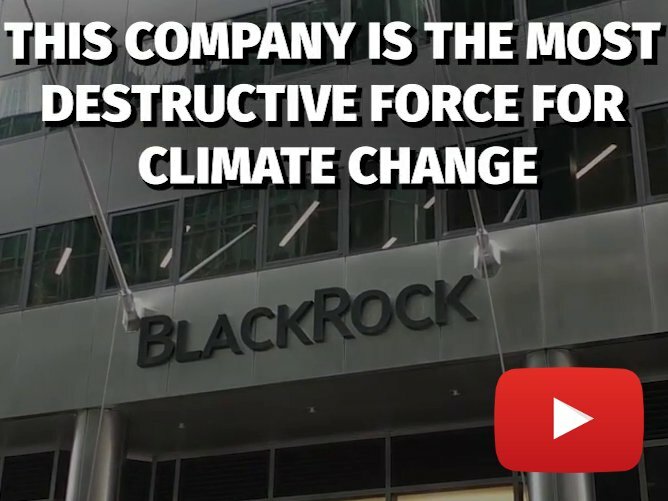 More recently, the Achuar began direct dialogues with key financial institutions and institutional investors with millions of dollars in GeoPark shares, like JPMorgan Chase, asset manager BlackRock, and the California pension fund CalPERS. After fifteen years of support for the Achuar people of the Pastaza basin, we are renewing our commitment to collaborate until their territorial rights are guaranteed. Please join us!